Set oven rack about 6 inches from the heat source and preheat the oven’s broiler. Line a baking sheet with aluminum foil. 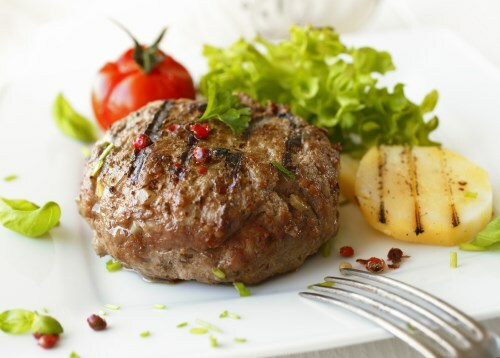 Mix ground beef, onion, green bell pepper, parsley, salt, paprika, garlic, black pepper, and thyme together in a bowl; divide into 4 portions and shape into patties. Arrange patties on the prepared baking sheet. Dust both sides of patties with flour and brush with melted oil. Broil in the preheated oven until steaks are cooked through, 4 to 8 minutes per side. An instant-read thermometer inserted into the center should read at least 160 degrees F (70 degrees C).